The International Monetary Fund said today it feared the consequences of a possible "contagion" of Italy's economic woes to European countries with "weaker macroeconomic fundamentals." Noting the "four-year high" in Italian sovereign bond yields, the IMF said "spillovers to other markets have been fairly contained." 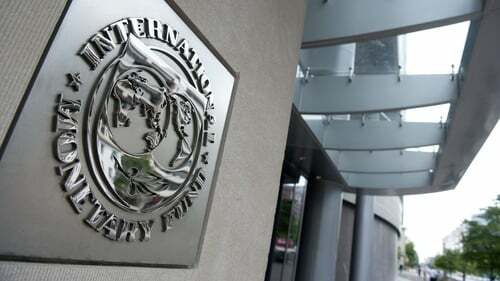 "But there is appreciable uncertainty, and contagion from future stress could be notable, especially for economies with weaker macroeconomic fundamentals and limited policy buffers," the IMF said. It made its comments in its autumn forecast for Europe. Failing that, Brussels could put Italy into something called the "excess deficit procedure", a complicated process that could eventually lead to a fine of 0.2% of the country's GDP. The Italian government - a coalition of the far-right League and the anti-establishment Five Star Movement - plans to run a public deficit of 2.4% of GDP, three times the target of its centre-left predecessor. The coalition's 2019 budget is based on an estimate of annual growth of 1.5% - a figure considered optimistic by the IMF, which has forecast only 1%, and the Commission, which expects 1.2%. Italy already owes €2.3 trillion, a sum equivalent to 131% of its GDP. Even if Brussels fails to punish Rome, many assume the markets will.